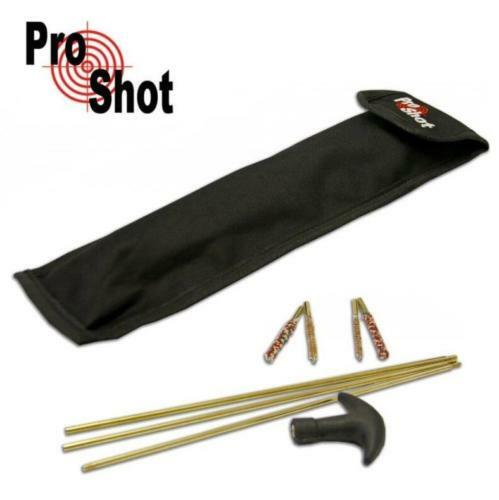 The ProShot Standard Cleaning Kit includes 3 strong brass rods, a removable screw on handle made from solid polymer, .177 & .22 barrel mops, and .177 & .22 wire barrel brushes to make this the perfect companion to all air rifles and air pistols. As well as using the kit to clean the barrel, the rods are also very useful for unblocking any jams in the barrel. The whole kit comes in a strong and durable pouch complete with a belt loop to that you can always have it to hand.